Woman of the Month: A Dash of Naomi! She's adding a dash of her magic to the world of fashion. 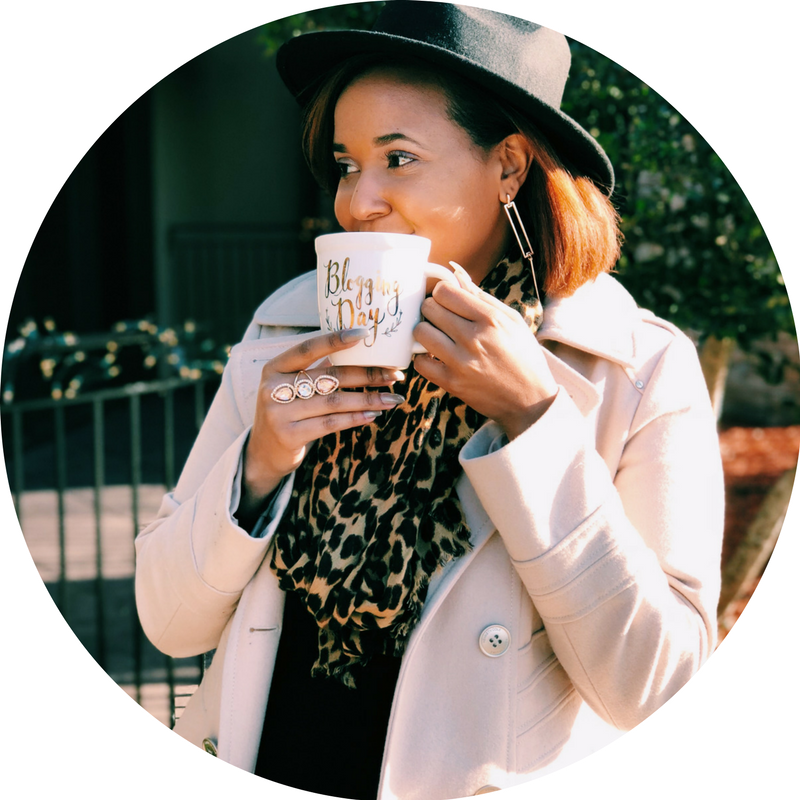 Naomi Coleman founded her very own boutique public relations agency at the young age of 22. Since then, she has broken barriers and has created endless opportunities for her clients. She was chosen as one of our December Women of the Month, so read on to learn more about how Naomi slays the fashion and PR industry! ADOM: Let's get to know Naomi. Tell us a little more about yourself. Naomi Coleman: Naomi Coleman is the founder and Creative Director of Access by NKC. She is a fashion and public relations professional who has worked in strategy consulting, e-commerce and fashion production. Driven by a passion for new and entrepreneurial opportunities, Naomi ﬁrst entered the public relations industry independently as the founder of her company, Access by NKC, LLC (fashion/lifestyle public relations agency) in 2016, and later with Walk Fashion Show (fashion show production company) as Head of Media. Naomi's experience in strategic solutions began during her time as the Public Relations coordinator for My Closet Vault. There she worked on e-commerce and implementing successful campaigns and loyalty solutions strategy. Naomi is passionate about always driving to find the solution to every problem. She graduated from Temple University with a degree in Strategic communication and minor in Spanish. Originally from Southern Maryland, she currently resides in Philadelphia. ADOM: What future endeavors do you have in the works? NC: I have a few partnerships in the works. We have a lot to look forward to in 2017. It should be another good year for the agency. I don't like to speak to much on future plans until they are already unfolding. I really hope to engage personally with a new set of creatives in a few different states. ADOM: Who or what has motivated you to pursue these endeavors? NC: I don't think that one individual person motivated me. I'm more motivated by the fact that people feel that working for yourself is something that's almost impossible. I've been told no so many times in my life, I decided to never accept no for an answer from anyone ever again. I try to do everything in my power to push myself to complete each of my goals. I can say that I really admire Karen Civil and how she turned her brand into a powerhouse; I keep an eye out for her techniques. ADOM: As the Creative Director of Access by NKC, how do you use your platform to empower women? NC: Personally, I try to empower women through inclusion. When I first started my agency I felt shut out, no one wanted to give a chance to show my skill. I know so many amazing and creative women, I want to hear their ideas and allow them access to my resources. If you should ever need support from our agency, we for the most part find a way to help out. Even, something as simple as just sitting down with me over lunch to discuss business plans or future ideas; I''ll always make time for. That was something that I felt like I needed starting out and was unable to find. I'm not originally from Philadelphia, so I had to create a name from myself. I want to make that process so much easier from those behind me. ADOM: What do you want to be remembered for in the years to come? NC: I want to be remembered for making something out of nothing, but remaining true to myself the entire time. I want people to see our agency and know that regardless of age or money, if you want something bad enough you can make it happen. I also want to be known for creating a way for women to excel in media. A normally male-driven industry, we as women have to prove that we know about behind the scene in the fashion media & production. We can do more than just design or model. NC: Don't ever place yourself on anyone else's timeline. Everyone is different in life, different things happen for others at different times. Living in the age of technology, it's very easy to get sucked into what someone else doing. If you're committed to your craft, then no amount of time should stand in the way of you achieving that goal. To keep up with Naomi, follow her Instagram, Twitter & Facebook. Check out her site www.accessbynkc.com.